While replacing your windows and doors can seem like a hefty investment, it often pays off fully in the long run. Older windows and doors tend to have air leaks which can cause your monthly heating and cooling bills to be much higher than they should be. Investing in new windows and doors is always a good idea if you are afraid yours are old and are causing your home to be warmer or colder than it should be. 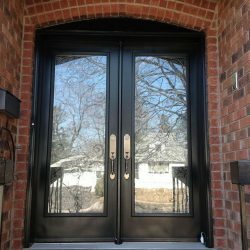 If you are already convinced that you want to go about replacing your windows and/or doors but are not sure how, here are the steps you should follow to get proper replacements and installation. Set a budget that you want to stay in. With costs of windows and doors varying wildly, try to set a limit or a number you wish to stay in the vicinity of when buying replacements. This will help quite a bit with the rest of the process as you will know what is the maximum you are willing to spend, and will help you get the most of that money. Research what kind of replacements you want to get. Technological advancements in window pane, glass and door technology have essentially made older windows obsolete. Insulated glass can reduce heat leaks and prevent excess radiation from entering your home. Doors are now made and installed to be leak free and can be equipped with amazing home security systems. Research what is out there on the market and what sort of products you want to purchase so when you are looking to buy you have a clear idea of what you want to invest in. Go browsing for companies selling and installing doors and windows. Finding a good company that will offer you the best deals in both the product you are buying as well as cost of installation. If you buy from a retailer, chances are you will not be satisfied in the long run. Professional run firms can help you with your purchase and with the process of installing it, negating the need for you to go through the hassle of hiring a contractor. Make measurements on your own. Before buying new windows or doors consider the option of making your window openings larger, adding bay or bow windows to expand your space, or changing from a single door to a double one. There are so many options that you should not limit yourself in your creativity. A beautiful front door can often be the reason a house looks unique and modern. Book a consultation. Most companies will offer free estimates for window and door replacement services. If you are unsatisfied with the price one company offers you, simply move on to the next one in search of a better price. Set a date for the installation. Whether you are replacing just a few details or are re-vamping your entire home, be sure that when you have finally found windows and professionals to install them that you are ready to invest a day in the process of installation itself. Enjoy . Sit back and enjoy your new windows and doors. We hope that this article has helped with your uncertainties regarding window and door replacement. 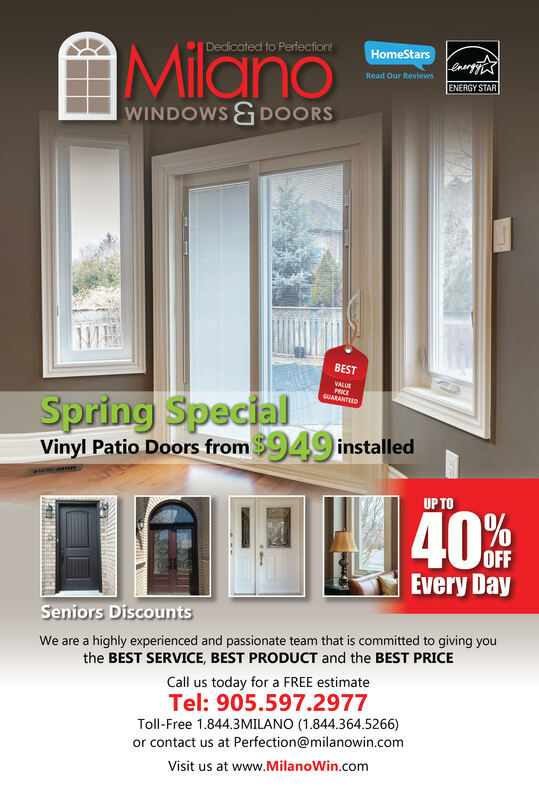 Milano Windows and Doors is a company selling and installing the highest quality doors and windows for the best price. We are dedicated to customer service and guarantee 100% satisfaction. Give us a call to book a free consultation!